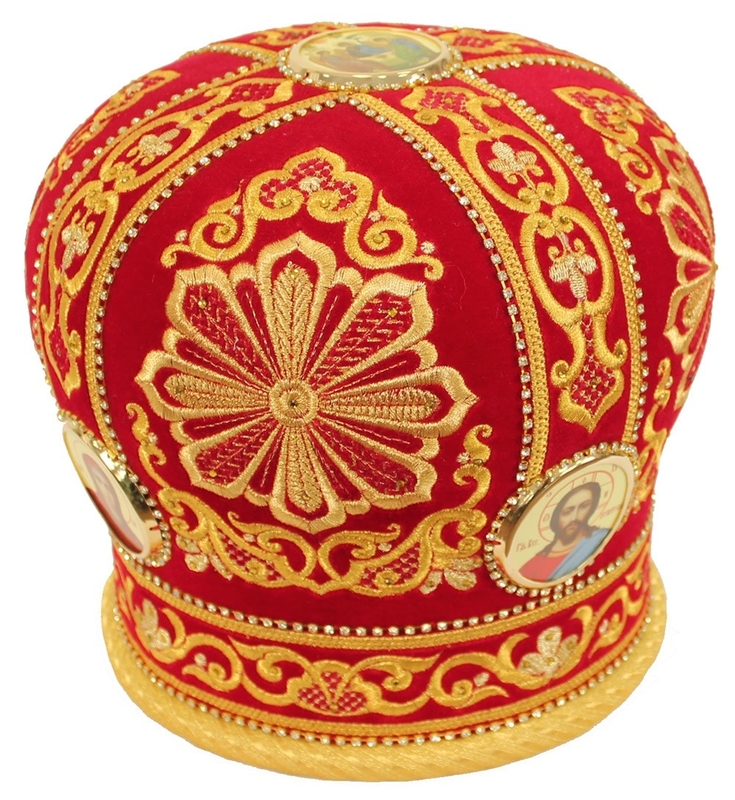 Embroidered mitre - 2934 (Size: 23.6'' (60 cm)) - Istok Church Supplies Corp. 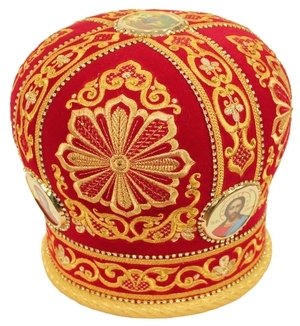 Traditional Orthodox Christian embroidered mitre. Metallic brocade, embroidery, lythographic icons. Size: 23.6'' (60 cm).